If the ‘worst case’ scenario were to play out, how would your company react, what would you say and do, and what would your company look like during and immediately following a crisis? 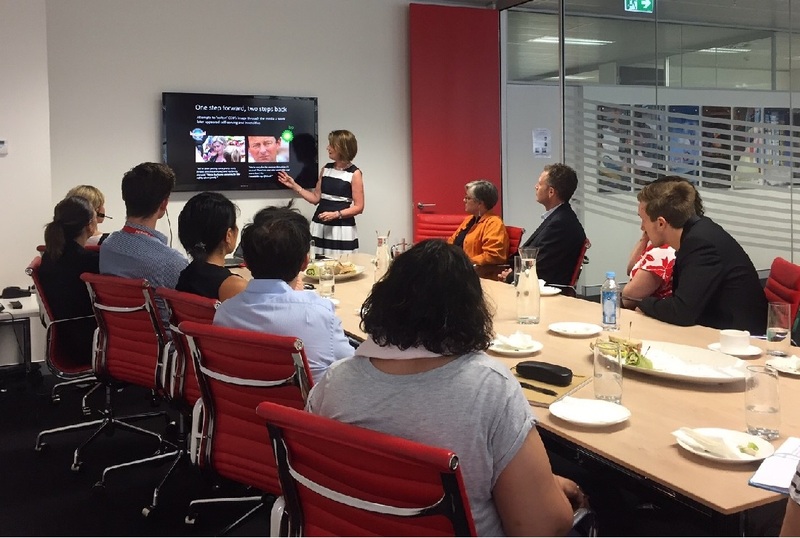 Yesterday I led two briefing sessions for Sefiani clients, examining the mistakes Dreamworld’s parent company Ardent Leisure made following the tragic loss of four lives at the Gold Coast theme park. The roundtable discussion following was robust and thought provoking. As the saying goes, hindsight is a wonderful thing but so too are the lessons learnt from mistakes made. Not being prepared: In a high-thrills theme park, while the Thunder River Rapids accident could not have been predicted, an incident causing serious injury or death should have been anticipated in a crisis preparedness audit with communications and protocols and a crisis team in place. Slow response: Dreamworld’s initial response and facts follow-up was slow which created an empty space for public outrage, questions and allegations to arise. Having two spokespeople: While there is a sound argument that both Dreamworld and Ardent CEOs had a role to play in responding to this tragedy, the belated appearance of Ardent’s CEO appeared to be forced by the media rather than being a natural response. Insensitive: Dreamworld’s website and Facebook page remained active with a live ‘buy tickets’ button despite the park being closed while the accident was being investigated. Proceeding with Ardent’s AGM: Just two days after the accident, shareholders voted on a $1million bonus for the CEO, who later fronted a hostile media pack for the first time. Misleading the public: The CEO told the media she had been in contact with families affected, only to be contradicted by a journalist on the phone to a victim’s relative. Offering a cash bonus to victim’s families: In a knee-jerk reaction the CEO offered to donate her cash bonus to victims’ families after the media aired scathing stories. Announcing Dreamworld would reopen less than a week after the accident, without police approval. Woe is me: The CEO appealed to public sympathy, revealing her family had received threats. When it comes to a crisis, perception is everything and can often overtake facts. Following this incident the public and media have perceived Ardent as a cold-hearted, financially motivated and self-indulgant company. The damage is done. So, what are the lessons learned and what are the key considerations for all businesses when facing a crisis? Preparation – you can never be over prepared for a crisis situation. Having processes and protocols in place ahead of an event will allow for a more controlled environment when responding. People – first and foremost your brand likely involves the business of people, this is what you need to focus on, not dollars. Be genuine, heartfelt and focus only on the people affected, not the financial impact. Timing – getting key messages out as quickly as possible is vital, as is keeping the public and media informed regularly. But it’s important to only provide information that has been verified and confirmed. False statements, inaccuracies and lies will only get you into more trouble. Language – language in crisis situations is critical. Be clear, honest and up front but be cautious of your words, thinking of the short term and long term impacts of what you say. Emotion – in situations where there is a loss of life or serious injury it is important to show human emotion, while remaining controlled and composed. At the end of the day your company is run by people who will be affected too. What do you need to consider to successfully navigate through a crisis? Crisis Management Plan – Do you have an up to date written Crisis Management Plan in place? This includes emergency protocols, media plan, social media plan, important contacts (relevant authorities, councillors – should they be required for staff or guests, legal counsel, senior executives, government departments etc), potential command post locations, holding statements prepared in advance for all identified crisis scenarios. Crisis Team – A team of senior executives including a communications professional should be identified and ready to quickly convene in the event of a major incident with a single media-trained spokesperson clearly identified. Team members may change depending on the crisis scenario. This needs to be established up front. Spokesperson/people – Who will speak to the media at the time of a crisis? Are they adequately trained to address the media in a potentially hostile environment? Have you identified a backup spokesperson should the preferred spokesperson be unavailable for whatever reason? Notification – Are your notification systems up to date? Have you got the right authorities, departments, stakeholders and alert processes in place? Key messages – In the event of a major incident, what are the key messages you want to convey to your guests, visitors, stakeholders. Third Parties – Have you given consideration to who you could appoint as a third party recovery/rebuild coordinator in the event of a major incident to direct media away from the tragedy and focus on the rebuild/recovery? Help – Know the people you can call on for advice or additional help to ensure your company is prepared for a crisis, and who can provide rapid and considered advice should the worst happen. Sefiani is a specialist issues and crisis management firm with 16 years’ experience helping companies protect and enhance their brand and corporate reputations. Contact us for a free one hour consultation at rsefiani@sefiani.com.au.